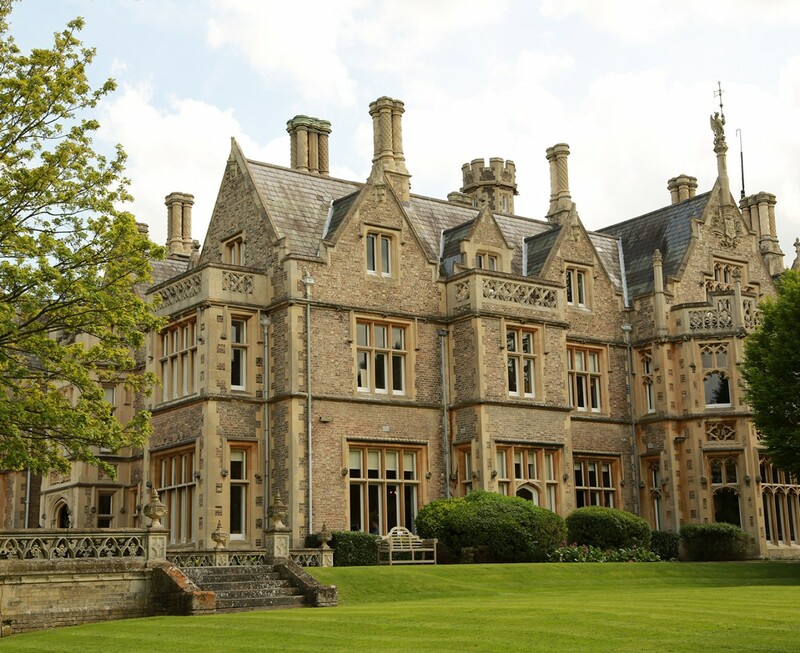 A former Royal Hunting Lodge set on the edge of the ancient Windsor Forest, this prominent residence sits surrounded by ancient trees within a parkland setting. The house is undergoing a transformation to return New Lodge to its original use as a single residence after spending many years as office suites, and I am working with our client to develop a series formal gardens around the house within the inherited garden framework. 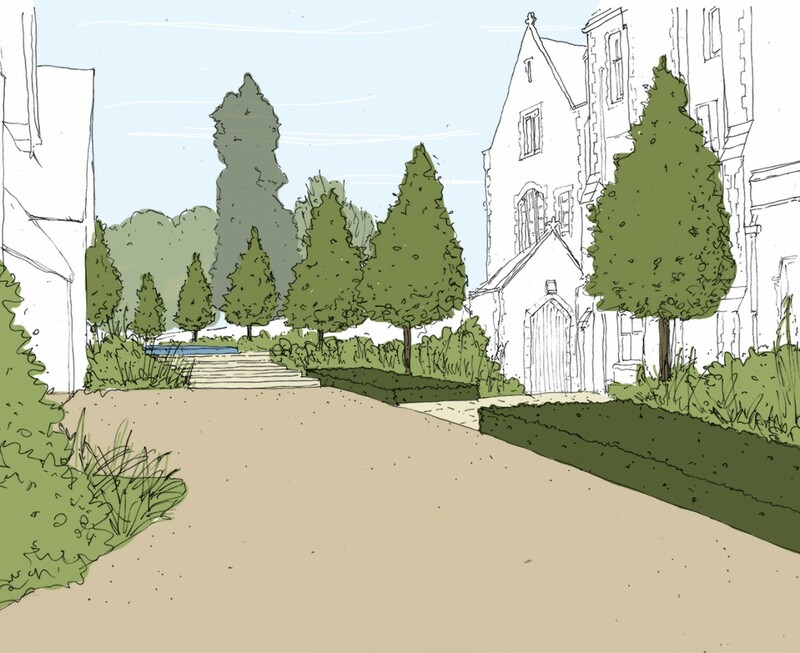 The aim is to create a garden which is appropriate for the conversion back into a single significant dwelling, and will remove the inappropriate interventions of recent decades. 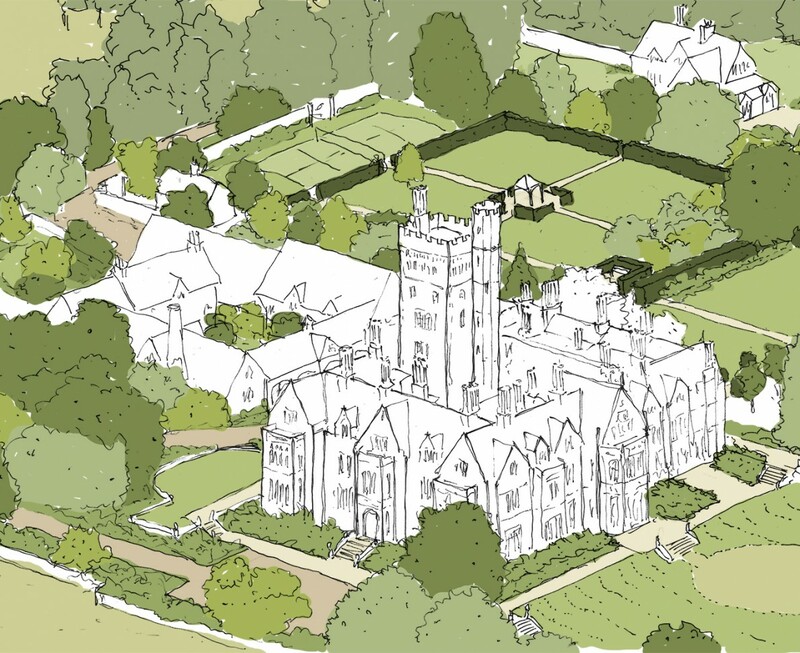 As such the new gardens and grounds will respect and respond to the history of the site and its layout whilst aiming to enhance the setting of the building. Whilst this is not considered to be a landscape restoration, my approach is to restore the original ethos of the landscape and conserve valuable historic assets, such as listed steps and terraces. 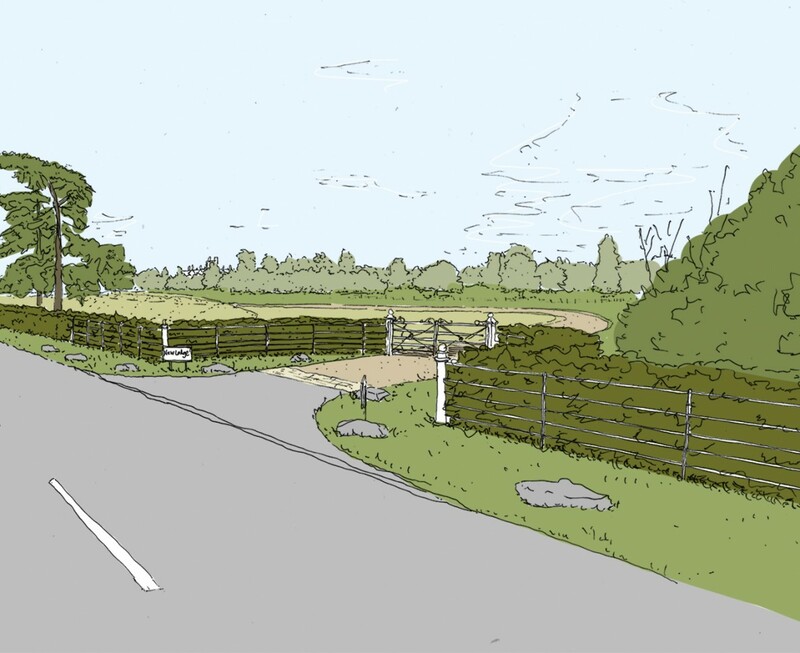 The significant aspects of the planning submission were enclosure within the greenbelt, enhancing the setting of the Listed building and the creation of a new gated driveway. 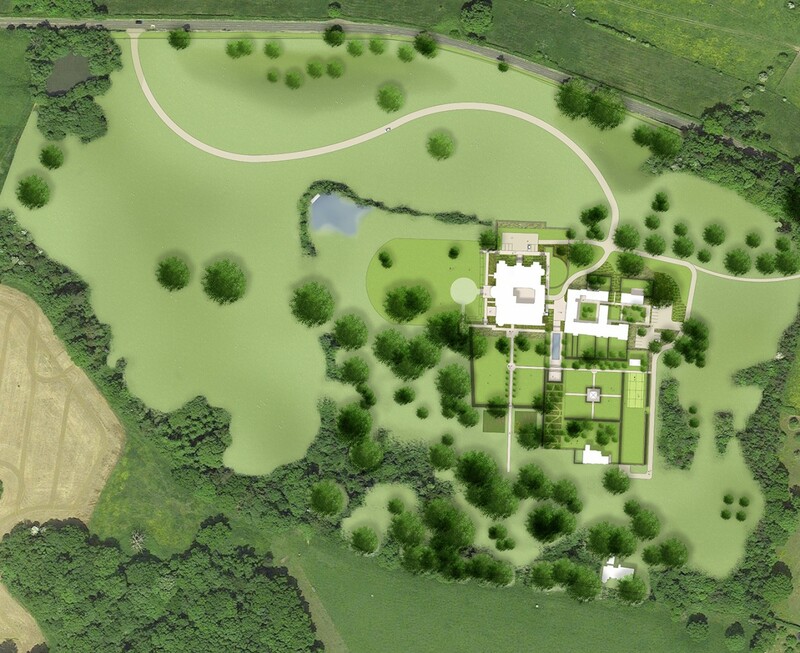 Open Parkland was created in front of the house with formal gardens to the sides and rear. The Walled Garden, which had been converted into a car park during the buildings previous use as offices, had lost its extensive greenhouses and was reinvented to suit 21st Century living in the absence of the army of gardeners which this property would have originally boasted.